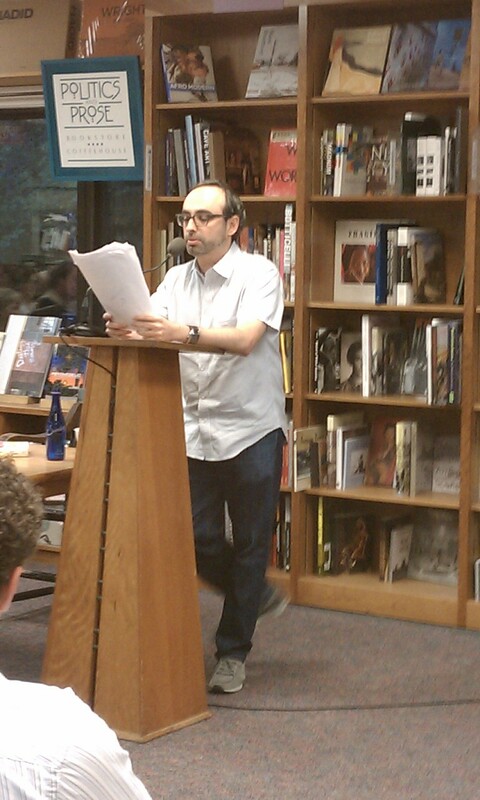 It’s Gary Shteyngart! 10 feet away from me! At Politics and Prose. 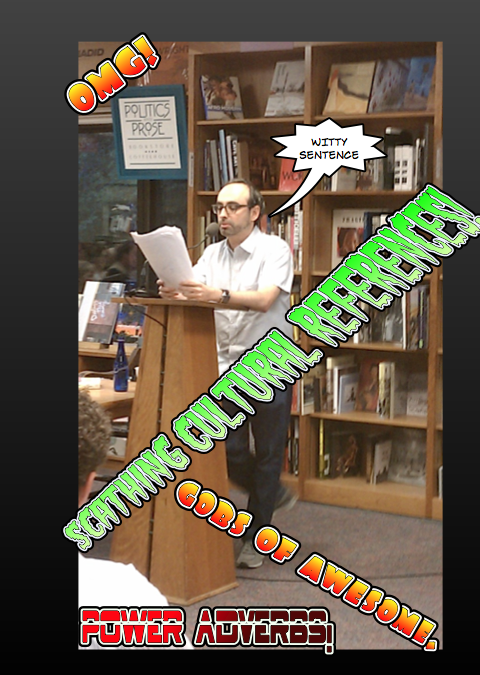 Doing a really great job reading from Super Sad True Love Story. Ok that’s more like it. And. 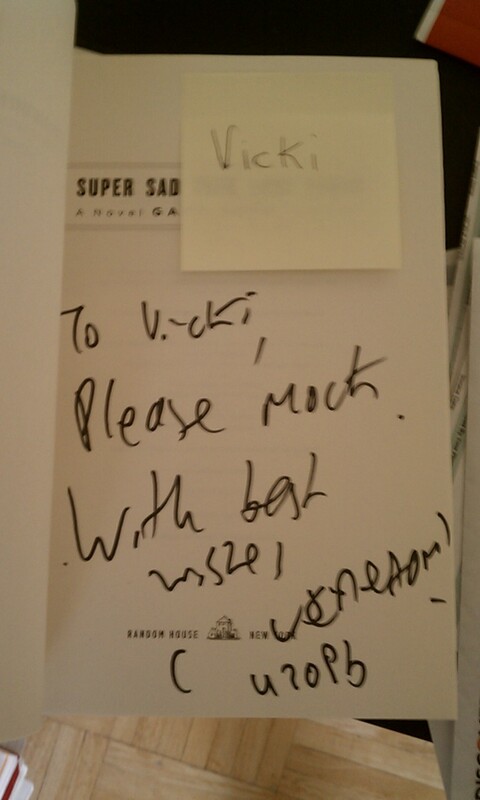 He signed my book. There are no pictures of him signing my book because I was crazy nervous and stood in line for what seemed like eternity trying to think of the right thing to say to him to seem not lame. So, he gave me permission to mock. Obviously, because I am antisocial, but more because I want to remain a mysterious darkhorse, I was too shy to ask him a question in front of the whole audience, but I really wanted to ask him what he thought women’s role in writing satire was, and why he thought most satire writers were male. I also wanted to ask him a million other things, like how he managed to write satire about America that didn’t hate on America, and how he managed to write about different cultures in a way that was accessible to people who have never been further than Pittsburgh. Obviously, all of this will have to wait until I finish my own novel and go on book tour. I love books, and like many, think that being able to see what a person has on their shelves is a way of getting to know them better. I hope the dystopic world of data streams in Super Sad True Love Story doesn’t come to pass and that we still read books as a form of entertainment. Anyway, TL;DR, I had the most awesome time yesterday.